Hello Dallas Brow Couture friends! I am looking forward to sharing useful info on eyebrows microblading, as well as other wonderful beauty tips. Microblading is an exciting new technique that is spreading fast and I’d like to keep you on top of it. I am sharing a great article from InStyle.com written by Alexix Bennett. Please feel free to share my blog post as I know a lot of your friends are interested, as well! 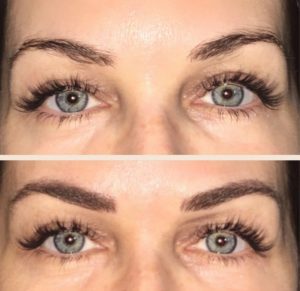 Also, note that Dallas Brow Couture is offering a $599 microblading special through July 3, just as a way to introduce the technique to our friends. So, be sure to call the salon at (972) 612-4159 to book your appointment. “Unlike eyebrow extensions, which you have to be careful about maintaining, microblading is low maintenance. After healing, you can rub them and enjoy swimming. No special care is required, except for a brief touch-up once a year.” The smudge-proof solution will cost you anywhere between $700 and $800. But waking up every morning with perfect brows may totally be worth it.